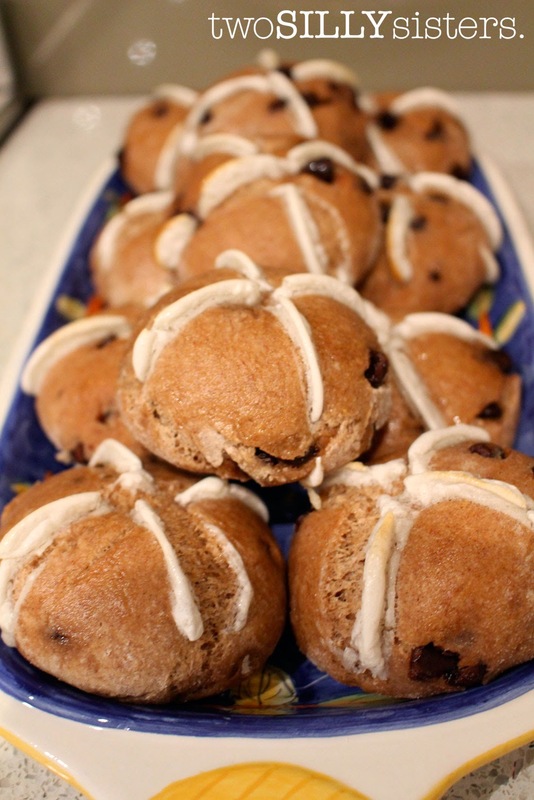 Easter is just around the corner and what better way to celebrate with some freshly baked gluten free hot cross buns?! The smell of hot cross buns are so distinct…Cinnamon and spices often waft through the office mid-morning as people are toasting their hot cross buns for morning tea. 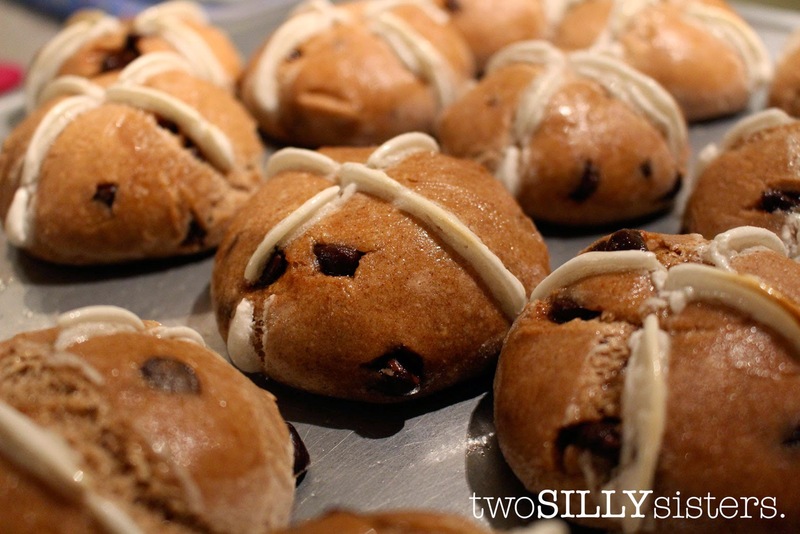 Although the traditional buns are not my favourite (sultanas and I are not friends, and have never been), but give me a chocolate chip bun and I will melt – literally like the gooey chocolate in a warm hot cross bun! 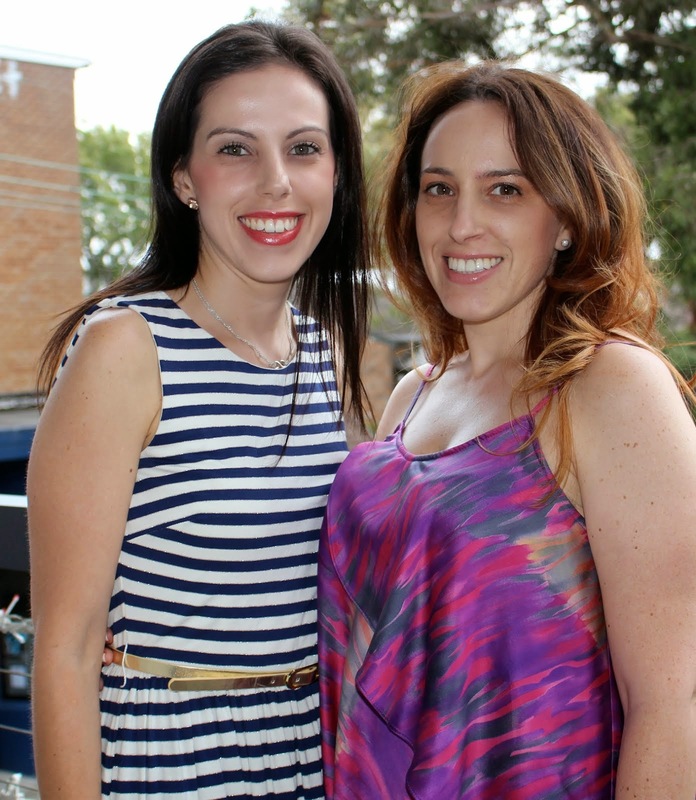 I remember being diagnosed with Coeliac just before Easter of 2009. 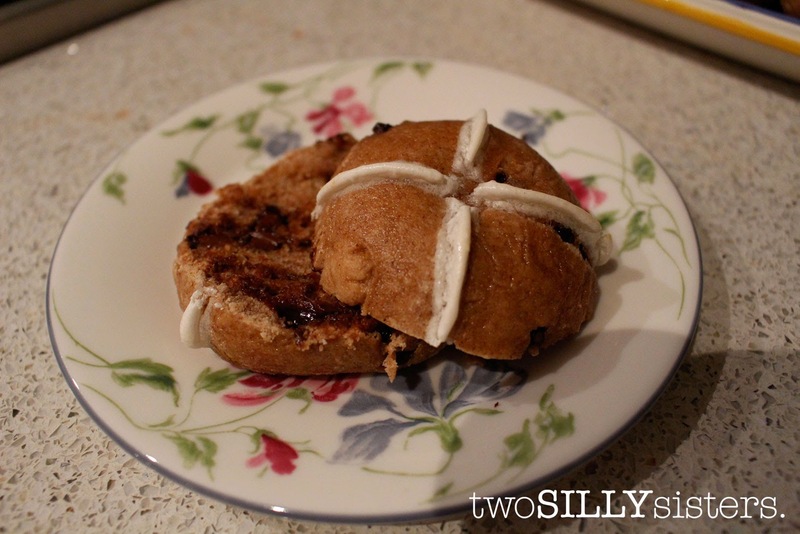 As it was my first holiday having to go without something I was used to I decided I was going to bake my own gluten free hot cross buns – how hard could it be right?! 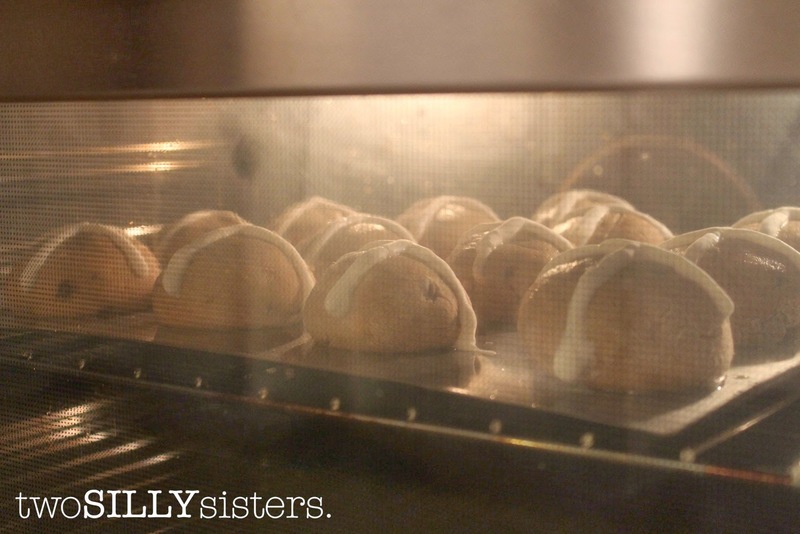 At this stage I had never attempted to bake anything gluten free – why I chose something as hard as hot cross buns still baffles me. Lets just say I attempted to knead the dough and instead ended up with all the dough sticking to my hands… I looked like a gluten free dough monster! The dough ended up in the bin and I was absolutely devastated that living life gluten free was going to be harder than I thought. But now that I have experienced living gluten free in all its glory, I am happy to say that I am now able to share with you a joyous experience of absolutely yummy homemade gluten free hot cross buns! 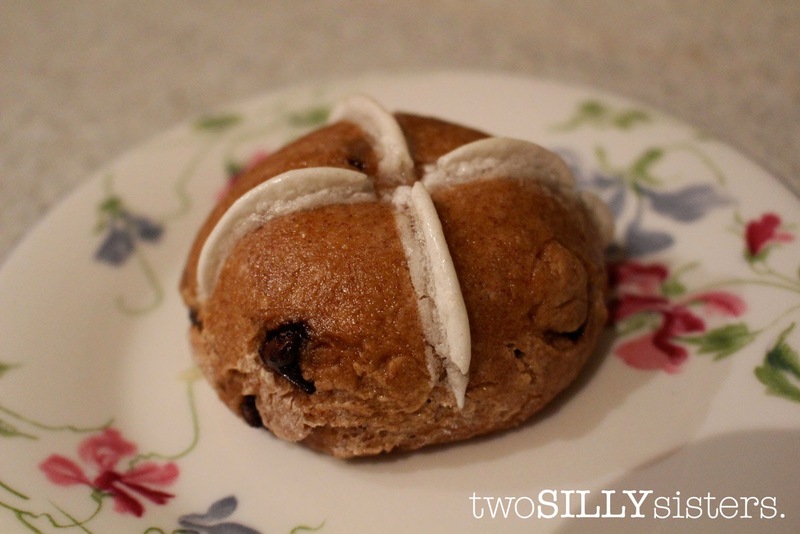 I received a lovely care package from Well & Good a while ago and while planning and researching my recipe for gluten free hot cross buns I came across a recipe using Well & Good Crunchy Bread Mix. 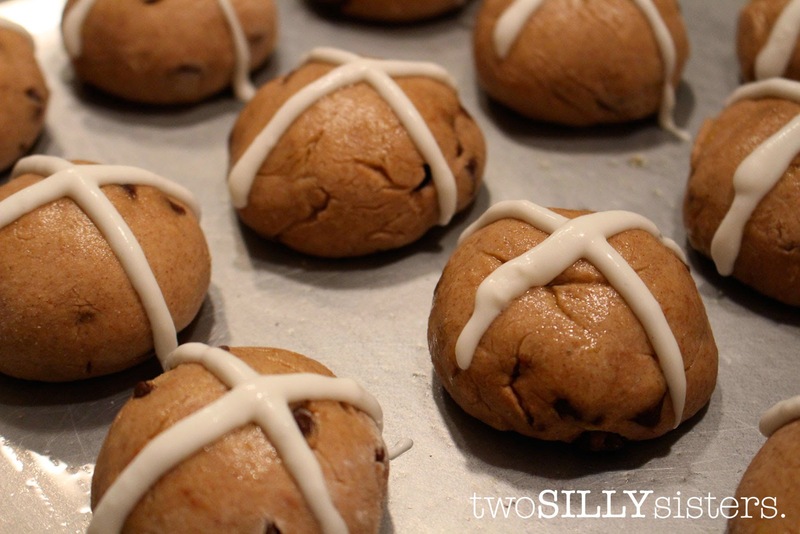 With a few tweaks I created the yummy gluten free recipe below, just in time for Easter! The following was adapted from a Well & Good recipe. *This is an estimation – you may add less if you prefer – or even substitute with sultanas. 1. Combine sugar, yeast, melted butter and water in a large bowl and mix well. 2. Add spices and crunchy bread mix and stir with a spatula until well combined and flour pockets are removed. 3. 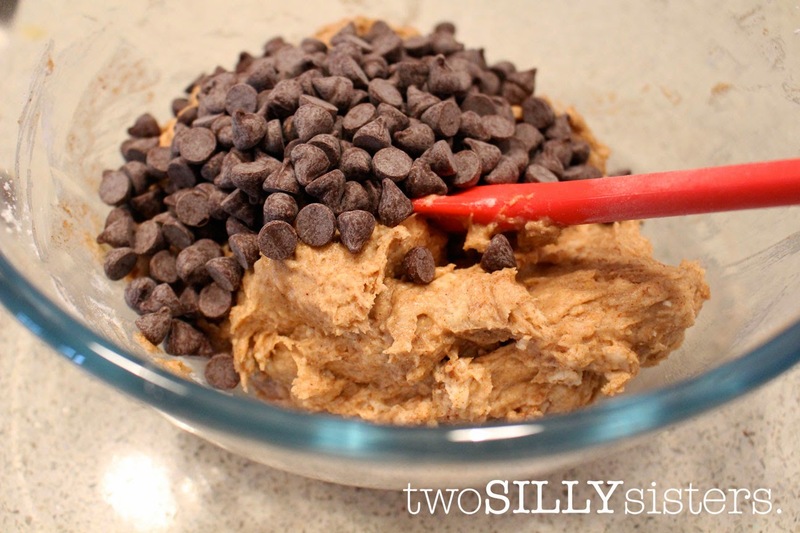 Add the choc chips, mixing through the dough until evenly distributed. 4. Cover the bowl with cling wrap and a tea towel and let rest for 15-20 minutes. 5. Dust the bench top with the extra flour provided, and pull the dough out of the bowl, kneading for a few minutes until smooth. 6. Grease a baking tray with oil. 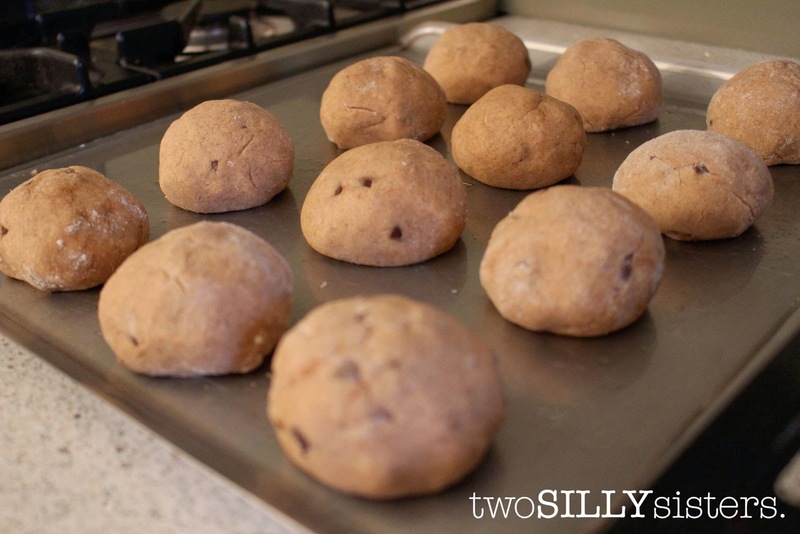 Divide dough into approximately 12 pieces and roll into balls, using the extra flour on the mixture and your hands to avoid sticking. 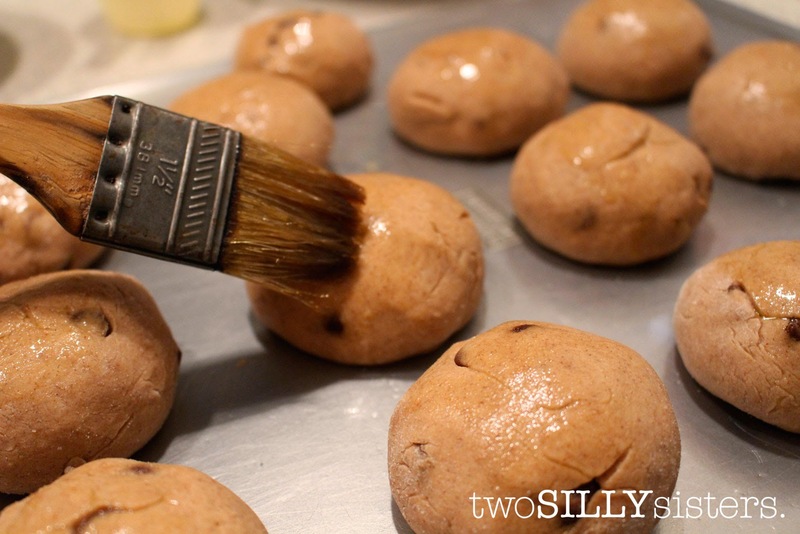 Place prepared dough balls onto baking tray. 7. Preheat oven to 200 degrees. Cover dough with a tea towel again and let rest for a further 45 minutes. 8. For the cross mix the gluten free self-raising flour with the water, slowly adding a bit of water at a time until the mixture comes together forming a paste. 9. Once the buns have risen, brush with a little olive oil. Place the flour mixture into a piping bag (alternatively use a plastic bag and make a small hole in the corner) and pipe a cross over the top of the bun. 11. After the buns are out of the oven prepare the glaze. Place sugar and water in a small saucepan, and over low heat stir until the sugar is dissolved. Bring to the boil and simmer for a few minutes. 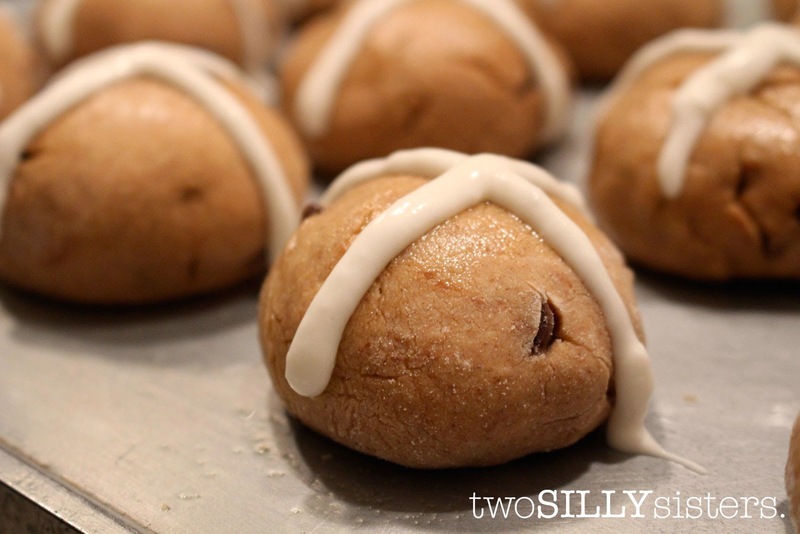 Brush the warm hot cross buns with the hot glaze. 12. Serve warm, with butter if desired.